Reach more customers with an environmental focus. The upfront cost of adding energy-efficient equipment like reclaim systems and solar panels may scare some carwash owners away from purchasing it. However, carwashes will recoup their investments in this kind of equipment. In addition to cutting costs, eco-friendly initiatives present another way to market carwashes to environmentally conscious consumers. According to Gary Hirsh, president of New Wave Industries Ltd. PurClean™ & PurWater™, the industry is experiencing an “upward trend of carwash operators embracing eco-friendly products.” He says the trend is a major movement to lessen environmental impact with reclaim systems and the use of environmentally friendly chemistry. Reclaim equipment can allow carwashes to remain open when their cities have had to impose tough restrictions to protect their water supplies during drought conditions. 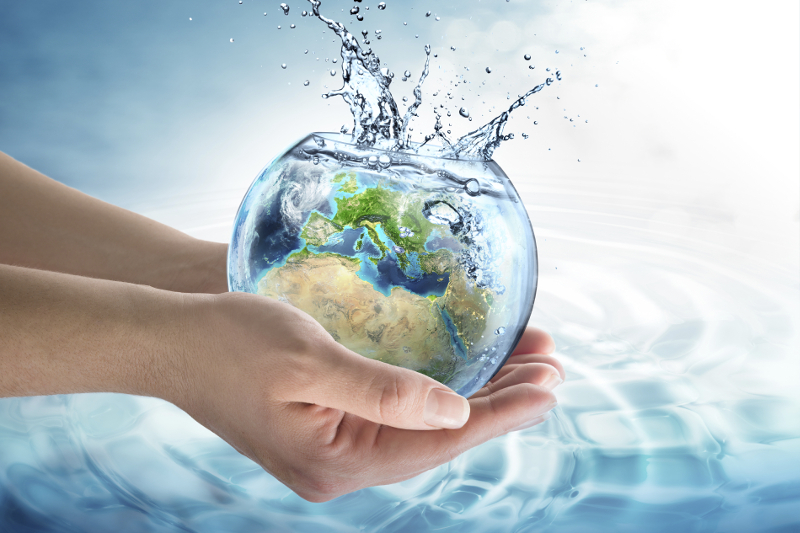 Reclaim systems can boost a wash’s bottom line as they save on energy costs. Plus they can allow carwashes to operate when others may have to shut down or reduce operating hours. In Hirsh’s experience, the average return on investment for a reclaim system is less than 21 months. After the initial installation, reclaim systems are relatively low-cost. Hirsh states washes will have minimal preventative maintenance on the equipment. For him, the average monthly maintenance for a typical-volume tunnel is about $75. Maintenance needs will vary according to the model selected by a wash, shares Hirsh. The strainer basket may need to be cleaned out weekly, which takes about 10 minutes. On systems with ozone injection features, the oxygen concentrator and cells should be serviced every two years. This takes about an hour. To keep reclaim systems operating with as little downtime as possible, carwashes can add the weekly and biannual maintenance needs to their regular maintenance schedules that include other equipment as well. Carwashes around the world are taking steps to be greener. Reclaim systems are almost commonplace, and LED lighting and solar panels are increasingly popular. As carwashes cope with drought conditions, equipment like this is a necessity in many regions. For a carwash in Woodbridge, Virginia, going green is the foundation of its business philosophy. The Smart Car Wash recycles 100 percent of its water while adhering to strict quality controls to deliver a clean and environmentally friendly experience. For Behrens, a sustainable wash is about more than saving money on utility costs. The green focus also ensures the business is a good steward of the community and its resources. The Smart Car Wash is one of many washes that has taken an interest in doing business sustainably, but a few things make it stand out. The wash was the first Leadership in Energy and Environmental Design- (LEED) certified flex-serve wash for its comprehensive approach to bringing green technologies and building techniques to the industry, shares Behrens. The development for the wash began in 2009. The facility’s slanted roof collects 100,000 gallons of rainwater each year. It is stored on-site, and then recycled into drinking water quality. One-hundred percent of the water used at the location is recycled on-site. A reclamation system reclaims and reuses more than 90 percent of the water used in the carwash. The wash utilizes natural light to save on energy costs with skylights and large glass windows. Twenty percent of the building was constructed with recycled materials. All bricks were locally shipped in from 15 miles away to reduce the carbon footprint for builders. All chemicals used are biodegradable to reduce impact on rivers and bays. Restrooms use hand dryers and conserve water with water-efficient toilets. The landscaping features native planting and indigenous materials that don’t require irrigation after roots are established. Carwashes have become proficient at offering a variety of services to increase their revenue. Going green doesn’t mean those services have to be sacrificed — they just often need to be performed differently. Behrens notes her wash’s services range from exterior-only to full-service. The business also offers express detailing, wax services and full bumper-to-bumper details. Lifelong efficiencies save money. When it comes to building a green business, many focus on the more obvious or revolutionary technologies like solar panels. Green design is really more about the nuts and bolts of your building. If you look at the LEED criteria, it’s more about the materials you use. Choosing energy-efficient equipment, renewable design materials and natural resources have helped save money on the bottom line. Plan to budget a little extra for LEED certification. Our building costs two percent more than traditional construction, and we save money on utilities. We save 100 gallons of water on each car alone, which has resulted in about $30,000 just in water savings so far. It’s important to build a team of experts when doing a LEED-certified project. We highly suggest hiring an architect firm familiar with the LEED certification process and green building techniques. In addition, when we built our business, our mechanical, plumbing and electrical engineers were all LEED-certified as were their civil and construction engineers. This will save on time, money and resources so mistakes aren’t made along the way. Carwashes can also use their green initiatives to improve their marketing programs. “Operators that have integrated green initiatives such as water recovery systems, VFDs and solar systems can promote their environmental stewardship through various types of media, press releases, signage and partnering with … local municipalities. [These] are all viable marketing options,” explains Hirsh. Consumers are increasingly valuing sustainable practices in their own homes and in the businesses they frequent. Because customers shop with businesses with which they share values, carwashes that incorporate these technologies should let the public know to attract these customers.